Hyponatraemia is the most common electrolyte disorder in hospitalised patients which remains underdiagnosed owing to diverse presentations. Recent studies have suggested that hyponatraemia might be an indicator of poor prognosis in patients with cancer and might have negative effects on hospitalisation length and quality of life, in non-malignant as well as in malignant diseases. 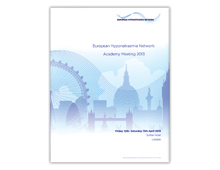 The European Hyponatraemia Network (EHN) educational programme was set up in 2011 with the goal of building bridges between specialties involved with the management of hyponatraemia. 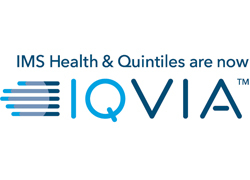 The aim of the programme is to help improve recognition of hyponatraemia and standards of care relating to the diagnosis and management of the condition across multiple specialties. Throughout 2013 the EHN (with agency support) provided the platform to support stronger collaboration and partnership between endocrinologists, nephrologists and oncologists in order to build expertise within those specialties, as there are no specialists with a focus on this under-recognised condition. The outputs from fostering these relationships resulted in the development of published national guidelines, eg in Spain, guidelines have been published for two sets of groups (endocrinology/nephrology and oncology), case studies have been published and an integrated multidisciplinary approach to managing hyponatraemia (from laboratory screening through to treatment) has been developed. I like the fact that this initiative got people who should be working together, but aren’t, to collaborate – it isn’t easy to get specialists to work together. This showed clarity of thought about the lack of specialist collaboration and this supported a strong cascade of information.